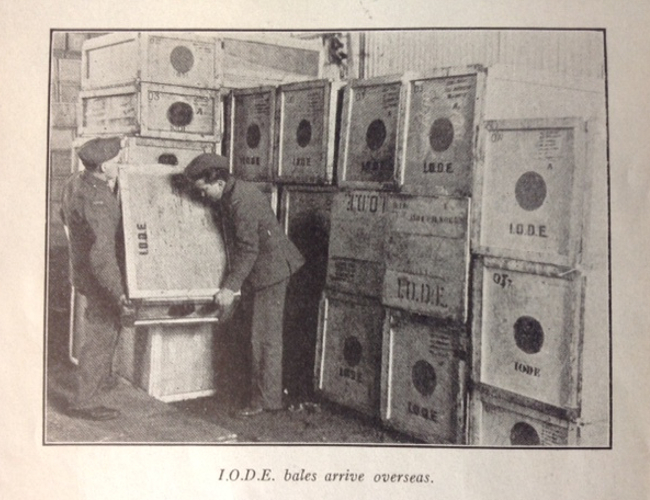 IODE Vignettes will describe milestones in our history and reprint articles from the Echoes archives. It is a remarkable history of the IODE women's charitable movement in Canada over the past 113 years that continues today. In 2000 a chance discovery in the basement of a late merchant mariner of Halifax led to the retrieval of a key piece of the history of IODE. A relative found a man's patchwork leather vest that had been in storage for many years. Inside a label saying: A gift of the Imperial Order Daughters of the Empire (IODE). It was discovered that many of these vests were apparently made for merchant mariners during the second World War by members of the Dartmouth Chapters. The vest found in Halifax is the only one known to still exist. It is unknown why these vests were made specifically for the merchant mariners but seeing that unlike other service men, who were provided with gear, mariners' supplies were relatively limited. The vests were made from approximately 150 pieces of leather, was fully lined with a flannel-type material and had a zipper. The leather came from the backs and sleeves of warm, little-worn gloves. The garment was machine sewn to form a piece of material on which a pattern was placed and cut out to make a sturdy multicolored vest that mariners wore under their coats while on board the vessels. This particular vest was later presented to the Maritime Museum of the Atlantic for storage and safe keeping. In the spring of 2006 the Provincial Chapter voted that they would undertake to raise $10,000 for the purchase of a new state of the art fully electronic bed for the QEII Health Sciences Centre. After many months of fund raising and through the efforts of the primary chapters across the province the goal was achieved to see this project to fruition. 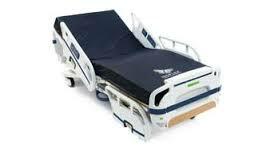 "The effort your group has made to fundraise and purchase the Stryker bed is MOST appreciated. Not only are they friendly for staff but patients can independently operate the controls and not have to rely on assistance. No bed is perfect but what you have provided us has added to the quality of care we can offer our patients."